Masterpiece Bumblebee 2.0 Fully Revealed at Wonder Festival Japan! 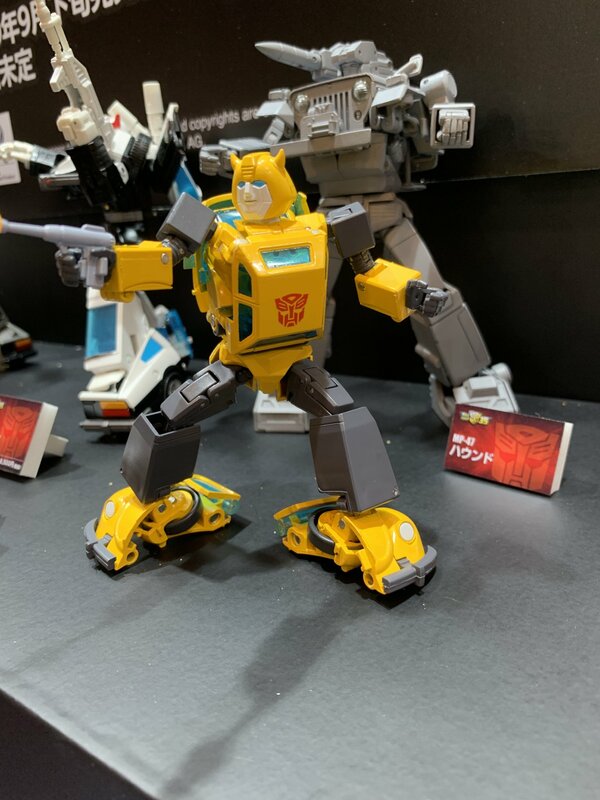 Next up in the slew of reveals at Wonder Festival Japan is Masterpiece Bumblebee (G1) 2.0. He’s sporting a whole new mold with focus on his G1 cartoon look. Read on to check out the pics courtesy of @Chohenken and S250! The post Masterpiece Bumblebee 2.0 Fully Revealed at Wonder Festival Japan! appeared first on Transformer World 2005 - TFW2005.COM. Re: Masterpiece Bumblebee 2.0 Fully Revealed at Wonder Festival Japan! I like MP21's more simple solution. That side view looks like he sat on another car and strapped its carcass on his back. Wow, that looks terrible! I'll stick with MP-21. Honestly this is not bad. But I have MP-21 and 21G so I really don't need this. But I do hope that this will be retooled into MP Cliffjumper and I will be happy to pay for it. Last edited by Darth Cylon; 02-10-2019 at 10:45 AM. Actually scratch that. The more I look at it, the more I realize it's a hard pass. Last edited by 79transam; 02-10-2019 at 03:03 AM.